A small shop located in a basement. The shop has approximately 3000 second hand records in stock. Hey ! I am quasi the owner of the store . the New opening is : 14- 20 , every day , not closed in wednesday anymore . I have more records then 3000 … I think its 10000 – 12000 . every genre . hope to See you ! 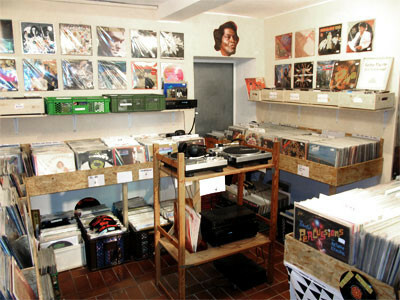 Great selection of records in good condition and well priced. Would recommend for anyone searching for soul/funk/disco/jazz, some real gems and could spend a few days digging about. I’m visiting Berlin at the end of January, are you open on Sunday? the shop is closed forever !